I learned to read from a combination of my parents and good teachers in pre-school and kindergarten. My mom read several of my favorite books onto cassette so I could read along with them when she couldn’t read to me. I also grew up at a time with a lot of record/tape and book sets. I had a lot of those, including a whole collection of the Power Records that featured some of my favorite superheroes. If you don’t recall Power Records were similar in size to comic books and had voice actors playing various roles. There’s a great web site that you can journey down memory lane and experience them again, if you’re of a certain age like I am. I also had book and record sets for some DisneyWorld rides, Star Wars and a couple of Charlie Brown specials. But while these all encouraged me, it was my parents and teachers who really did the bulk of teaching me to read. In many ways, Cujo is the animal equivalent of The Shining. In The Shining, it’s Jack Torrance going mad and inflicting reign of terror upon victims in an isolated location. In Cujo, it’s a 200 pound St. Bernard, bitten by a bat and gone slowly mad due to rabies infection who becomes a killing machine and inflicts a reign of terror upon victims in an isolated location. And while most of Stephen King fans will agree that The Shining is the better novel, I think a lot of King fans are too quick to dismiss Cujo as one of the lesser novels from the master of horror. I think part of this comes from King’s confession in On Writing that Cujo was written at the height of his battle with alcohol and that he doesn’t remember writing large chunks of the novel. That may be a good thing because I know that large chunks of the novel have stayed with me since I first picked it up years ago. Cujo was the first novel by King that I read all the way through. I’d started Firestarter but the long, slow burn of that novel (pun not intended) meant it took a bit longer for it to hook me as a teenager. And while Cujo does take a bit of time to get rolling, the hook of the 200 pound St. Bernard gone mad and becoming an epic killing machine is set early and the horror factor comes into play within the first hundred or so pages of the novel. Simply put, this book scared the hell out of me when I first read it and it’s still pretty damn scary today. Glimpsing the audio version on the shelf at my local library, I decided it’s been a couple of decades since I’d first read the story, so why not take a chance and experience the story again and see if it held up well. And while the novel doesn’t quite live up to the memories I have of it, I think it’s still one of King’s better mid-range stories. If she’s right (and I think she very well is), it couldn’t happen to a more satisfying and compulsively read-able type of book. From the first page, Gillian Flynn pulls you into the relationship and marriage of Nick and Amy Dunne. On the surface, their dating and marriage looks like the fodder for a romantic comedy featuring Tom Hanks and Meg Ryan, but once you start digging under the surface a bit, you realize these two characters are far from perfect. And once you start peeling away some of the layers, you realize that this isn’t so much a marriage built on love (it may have been when they started, but not anymore) but instead one built on dark needs and secrets. A couple of months ago, I read and participated in an on-line read along for Brandon Sanderson’s epic fantasy novel Mistborn. I enjoyed the novel and the conversation so when Carl V announced he’d decided to continue the read-along for the next two novels in the series, I eagerly agreed. This time around, Carl has proposed the idea of making it a blog tour read-along event. 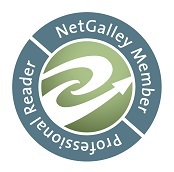 Each week’s conversation will be hosted by a different book blogger. I’m really looking forward to visiting not only the host site each week but also all the old and new friends as we discuss the second novel The Well of Ascension. Carl is kicking off the tour this week over at Stainless Steel Droppings. He’s got some interesting things to say about the first section of the novel. This week’s discussion is a bit more free-form and without any opening questions. 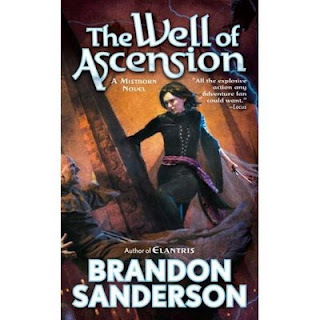 Before I get into my thoughts on the first section, let me warn you that if you’ve not read Mistborn and the first section of The Well of Ascension, there will be SPOILERS here. Ever since Up made me tear up in the first five minutes and the final few minutes ofToy Story 3 made me cry, I’ve had fairly lofty expectations when it comes to a Pixar film. And while I was disappointed a bit with Cars 2, it’s biggest sin is that it’s not quite as great as a lot of the other output Pixar has given us over the years. As the first non-sequel Pixar has put out in a couple of years, I had some fairly lofty expectations when I sat down to take in Brave. And while the film doesn’t quite achieve the pinnacle that Up, Wall-E or the Toy Story movies had, it’s still a spectacularly enjoyable film that both kids and adults will really enjoy. 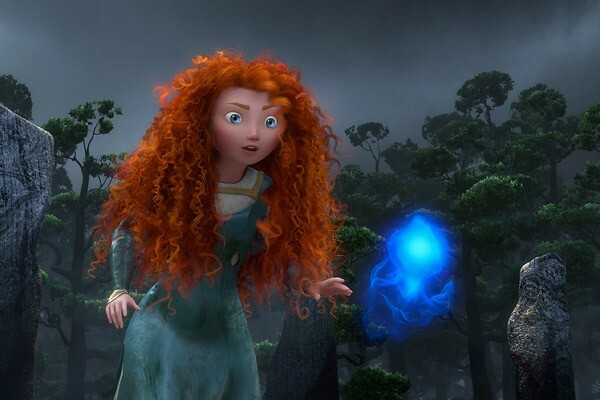 Brave is Pixar’s first attempt at taking on the classic Disney fairy tale formula and giving it a new spin. Set in Scotland, we meet Princess Merida. She’s more Katniss Everdeen than Snow White or Aurora, happier to be shooting arrows at targets and riding her horse than learning all the in’s and out’s of being a princess, much to her mother Elinor’s chagrin. When Elinor and King Fergus decide it’s time to choose her a suitor from a group of three princes, Merida rebels and turns to an old witch for a spell to change her mother. Unfortunately, Merida isn’t quite specific enough in her request of the spell and she ends up changing her mother in an entirely different way than she imagined. 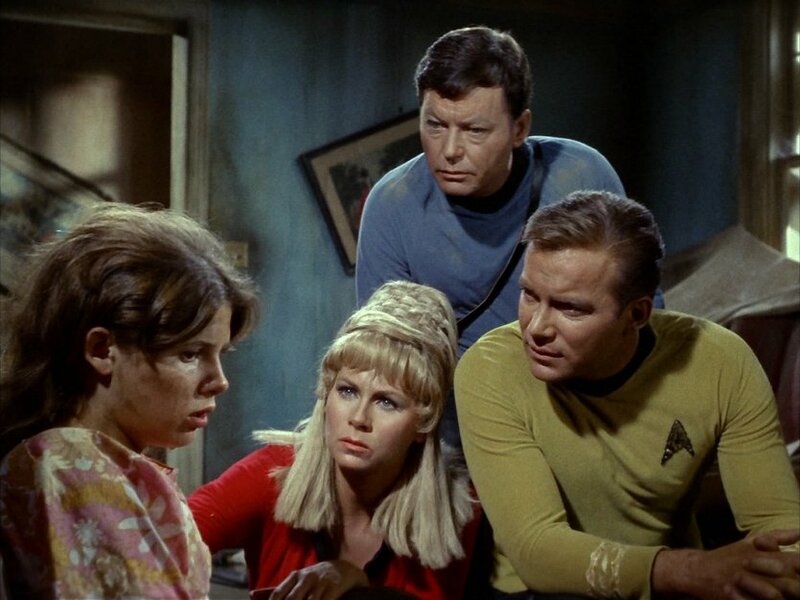 There aren’t many first season episodes of classic Star Trek that I actively dislike–to the point that I’ll rarely bother to watch them if I stumble across them in syndicated repeats or when I’m randomly selecting an episode or two to revisit. “Miri” falls into the camp. Returning to the episode for the first time in a long time, I’ll admit there were moments during the first fifteen minutes or so that I wondered why I bore such ill-will toward this voyage of the starship Enterprise. The the first commercial break rolled around and everything went straight to hell yet again. Booking Through Thursday — Quotable! I’ve got a couple, including my new “favorite” from Terry Pratchett’s The Fifth Elephant. Another highly quotable book and series is Douglas Adams Hitchhiker’s Guide to the Galaxy. Here’s a couple I like (and I’ve culled myself because I’d say 90% of the book is quotable). One more for Adams’ Long Dark Tea Time of the Soul. It’s in the running for one of the best opening lines I’ve read. I’d be remiss if I didn’t include at least one quote from my favorite author, Garrison Keillor. This one comes from Pontoon. And finally here’s a good one from Patrick Rothfuss’s The Name of the Wind.